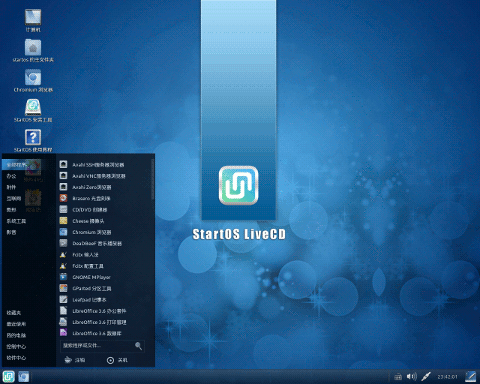 StartOS was an independent Chinese Linux distribution with the GNOME desktop tweaked to resemble Microsoft Windows XP. In the beginning it was based on Ubuntu, but starting from version 4.0 it adopted custom package management (called YPK) and system installer, though the underlying live medium was still built using Ubuntu's Casper tool. Rate this project The Pardus project, which develops a Debian-based distribution for desktops and servers, has announced the release of Pardus 17.2. This updated build comes in two desktop variants featuring either Xfce or DDE (Deepin Desktop Environment) desktops, and there is as a separate edition for servers. The release notes are provided in Turkish only, but the distribution itself can be booted and installed in both Turkish and English. Some of the changes in Pardus 17.2 include: LibreOffice updated to version 6.0.1; fix to the navigation rectangle in the Start menu not following the mouse cursor; updated the most Xfce components to their latest versions; fixed incorrect Turkish translations in some Xfce components; miscellaneous package updates, including security patches; various improvements to DDE's dock, such as new functionality to hide plugins, network list refresh button, new 'Forced Quit' in the context menu, improved auto-hide function, improved Window preview.... Pardus 17.2 ISO images are available from the project's download server (SHA512, pkglist): Pardus-17.2-XFCE-amd64.iso (1,306MB), Pardus-17.2-DDE-amd64.iso (1,367MB), Pardus-17.2-SERVER-amd64.iso (529MB). Pardus is a Debian-based distribution jointly developed by the Scientific & Technological Research Council of Turkey (TÜBİTAK) and National Academic Network and Information Centre (ULAKBİM). The project's latest release, Pardus 17.5, offers several package updates and continued support through to 2021. An English translation of the project's release announcement (in Turkish) reads: "Pardus 17.5 is the latest intermediate version. To keep track of the changes, you have to keep your Pardus 17 installed system up to date. With this latest version of Pardus 17, LTS (Long-Term Support) is offered through to 01.05.2021. Pardus 17 will continue to receive updates." Some of the changes in this release include: fixed issues in many graphical interfaces that some end users encountered; system performance optimisations affecting package updates; security updates including over 200 packages and patches; Firefox has been updated to 60.5.1, Thunderbird to 60.5.1; VLC media player has been updated to version 3.0.6; LibreOffice has been updated to version 6.1.5; the Pardus Store application has been updated to version 0.3.1. Download links (SHA512, pkglist): Pardus-17.5-LTS-XFCE-amd64.iso (1,334MB), Pardus-17.5-DDE-amd64.iso (1,396MB), Pardus-17.5-LTS-SERVER-amd64.iso (530MB). Pardus has announced the release of Pardus 17.4, an updated build of the project's Debian-based distribution set for desktops and servers. Like the previous releases in the 17.x series, this one also comes in two desktop variants featuring either Xfce or the Deepin Desktop Environment (DDE). It offers various improvements as well as stability and security updates for more than 300 packages. Updated software include Firefox 60.3.0, Thunderbird 60.2.1, VLC 3.0.3 and LibreOffice 6.1.3. The OpenSSH server package in now installed by default. Other changes include: improved performance due to package optimisations; fixes to various bugs that some users encountered in graphical interfaces; fixes to installation without Internet that previously resulted in post-installation corruption of resource lists; changed the default background of the start-up screen. Existing Pardus users do not need to download this release as all updates have already been applied to their systems. See the release announcement and release notes (both resources are in Turkish only) for further information. The new Pardus release, which supports both Turkish and English languages, is ready for download (SHA512, pkglist): Pardus-17.4-XFCE-amd64.iso (1,325MB), Pardus-17.4-DDE-amd64.iso (1,387MB), Pardus-17.4-SERVER-amd64.iso (521MB). Pardus, a Debian-based Turkish Linux distribution for desktops and servers, has been updated to version 17.1. The new release offers three separate ISO images with distinct names that indicate the purpose - Xfce, DDE (Deepin Desktop Environment) and Server. The release notes are available in Turkish only, but an online translation service reveals a changelog in this interim release of Pardus: The default name of the download directory has changed from 'Downloads' to 'İndirilenler'; the system settings menu has been enhanced; the default printer test page has been redesigned; the password of the pre-defined 'pardus' user is removed when the live system is turned on; the crash that occurred when the gdebi program was run with a graphical interface was fixed; the crash in certain parts of the gnome-disks program have been fixed; new desktop wallpapers added; many packages have been updated; the theme has been refreshed; Deepin Desktop Media support added; many security and system performance patches have been added." Further information on the software available in Pardus 17.1 can be found in the project's release notes. Download (SHA512, pkglist): Pardus-17.1-XFCE-amd64.iso (1,258MB), Pardus-17.1-DDE-amd64.iso (1,283MB), Pardus-17.1-SERVER-amd64.iso (518MB). Pardus is a Turkish desktop distribution based on Debian. The Pardus project has announced the release of Pardus 17.0 which features the Xfce 4.12 desktop environment and version 4.9 of the Linux kernel. Applications such as Firefox 52.2 and LibreOffice 5.2 are also included. An English translation of the project's release announcement reads: Enjoy the most up-to-date and stable versions of software such as Firefox, LibreOffice, Thunderbird, and VLC Media Player while your hardware works smoothly and with high performance in the Pardus operating system that comes with Linux kernel 4.9.0. See the impact of power management on battery life on laptop computers thanks to the integration of these software as well as tlp software into Pardus." Further information on the software available in Pardus 17.0 can be found in the project's release notes. Download: Pardus-17.0-amd64.iso (1,204MB, pkglist). 2013-03-27 Distribution Release: Pardus Linux 2013 "Corporate"
Pardus Linux 2013 "Corporate" has been released. This is the first stable release of the "new" Debian-based Pardus Linux with GNOME and KDE desktops, currently available in Turkish only. 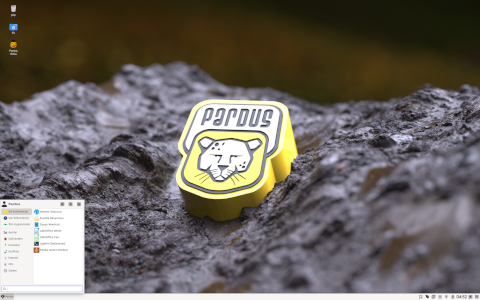 From the release announcement: "Pardus 2013 Corporate is released and available in four flavors. GNOME (x86, amd64) and KDE (x86, amd64). Currently the distribution is only available in Turkish, but this situation will change in the future. Pardus 2013 has many new features inside out. First and most important, Pardus is now based on Debian 'Wheezy' and built using tools provided by the debian-live project. Other features include but not limited to: installable live images for peaceful exploration; integrated and simplified installer for easy installation; Firefox 17esr and Thunderbird 17esr for stable internet experience; complete multimedia tools for hassle-free multimedia experience." Download (MD5) from here: pardus_kurumsal_2013_kde_64bit_tr.iso (1,709MB, MD5), pardus_kurumsal_2013_gnome_64bit_tr.iso (1,472MB, MD5). Gökçen Eraslan has announced the release of Pardus Linux 2011.2, an updated version of the project's desktop Linux distribution with custom package management and many user-friendly features: "Pardus Linux 2011.2 is now available. Here are the important updates shipped with Pardus 2011.2: NetworkManager is updated to 0.8.5.91, problems about adding VPN connections have been fixed, handle WLAN security passwords gracefully while upgrading distribution; ModemManager is updated to 0.5, improvements for Samsung modems, support access technology reporting for Qualcomm Gobi modems, fix communication with Nokia N900 devices; CUPS is updated to 1.4.8; LibreOffice is updated to 3.4.3, fixed crash closing document with footnotes; MPlayer - fixed crash playing subtitled videos which was triggered by FreeType 2.4.6 security update." Read the complete release announcement for a full list of bug fixes. Download the installation or live DVD image: Pardus-2011.2-i686.iso (1,168MB, MD5), Pardus-2011.2-x86_64.iso (1,186MB, MD5), Pardus-2011.2-Live-i686.iso (1,346MB, MD5), Pardus-2011.2-Live-x86_64.iso (1,369MB, MD5). Gökçen Eraslan has announced the release of Pardus Linux 2011.1: "Pardus 2011.1 'Dama Dama' is now available. Here are the basic components and their versions shipped within Pardus 2011.1 release: KDE Desktop Environment 4.6.5, Linux kernel 2.6.37.6, LibreOffice 3.4.1.3, Mozilla Firefox web browser 5.0, X.Org Server 1.9.5, GIMP 2.6.11, Python 2.7.1, GCC 4.5.3, glibc 2.12. In addition to those updates: lots of bugs have been fixed; 64-bit Skype and WINE package are now in 2011 stable repository; YALI has a System Rescue mode now; work on 2009 - 2011 distribution upgrade interface is about to finish, after the testing is complete, upgrade-manager package will be provided in 2009 repositories to ease the transition; QuickFormat application can be tested now to format USB removable disks easily.... Here is the brief release announcement. Download: Pardus-2011.1-i686.iso (1,160MB, MD5), Pardus-2011.1-x86_64.iso (1,177MB, MD5). Quick links to the live DVD images: Pardus-2011.1-Live-i686.iso (1,338MB, MD5), Pardus-2011.1-Live-x86_64.iso (1,358MB, MD5). Gökçen Eraslan has announced the availability of the beta release of Pardus Linux 2011.1: "The Beta release of the upcoming Pardus 2011.1 is now available. Here are the basic components and their versions shipped within Pardus 2011.1 beta release: KDE Desktop Environment 4.6.3, Linux kernel 2.6.37.6, LibreOffice 3.3.2.2, Mozilla Firefox 4.0.1, X.Org Server 1.9.5, GIMP 2.6.11, GCC 4.5.3, glibc 2.12. In addition to those updates lots of bugs have been fixed, 64-bit Skype package is now in 2011 stable repository, 64-bit WINE package will be in 2011 repositories soon, YALI now has a System Rescue mode, work on 2009-2011 distribution upgrade interface is about to finish, upgrade-manager package will be provided in 2009 repositories to ease the transition.... Read the complete release announcement for further details. Download the installation or live (non-installable) DVD images from here: Pardus-2011.1-Beta-i686.iso (1,139MB, MD5), Pardus-2011.1-Beta-x86_64.iso (1,155MB, MD5), Pardus-2011.1-Beta-Live-i686.iso (1,307MB, MD5), Pardus-2011.1-Beta-Live-x86_64.iso (1,325MB, MD5).